The Optotronix Aurora LCU is the follow-up of the established ACL ProControl. With a wide range of functions and intelligent firmware it sets new standards for R/C flight lighting. More outputs - more power 6 outputs with output power of up to 1.5A each for more power in R/C lighting. now it also can be used with 1 cell lithium polymer (1S-LiPo) or one cell LiFe batteries. Due to that fact lighting systems with slightest weight are realizable. Easy operating: A easy to use button as well as 7 status LEDs ensure an easy, fast and direct operating. Flexible and intelligent: Activation moment and function can be programmed for each output - easily via button. 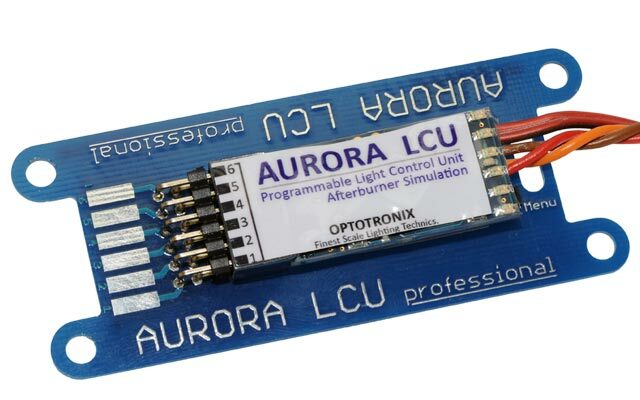 Furthermore Optotronix Aurora LCU fits itself to the used remote control and spares programming work. Enormous lighting functions: Numerous flash sequences and dimming effects are available. Even the desired moment for the flashes can be selected. Now also afterburner simulation Furthermore the controlling of LEDs and afterburner rings with six different, true to original, randomly generated afterburner effects is possible. Different start modes (ignition behavior) are selectable. 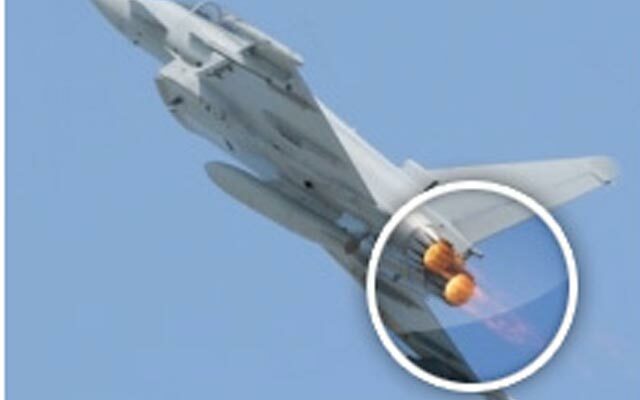 So every jet, doesn't matter if small fun model or large scale model, can be enhanced with the appropriate afterburner effect. Stand alone: At the push of a button standalone mode can be activated - the selected outputs stay active even without receiver signal - perfect for exibitions or ratings. Battery surveillance: The status of the battery can be requested in six steps. When critical battery voltage a warning occurs and the LCU switches off. When battery not seperated from the electronic the lighting will be switched off. Maximum safety: Electric consumers that are not receiver related, shouldn't be connected to it. So the Optotronix Aurora LCU has a galvanic isolation (opto-coupler). Easy installation: As accessory the Aurora Plug (Item no. OPT2010) is available. Aurora Plug is a plug strip with gold plated contacts, which simplifies and precipitates soldering of the lighting.